I found the US version gripping, unnerving, slick and classy, the UK version which I tried to watch after left me feeling slightly embarrassed for being a Brit. It was very poorly acted, the music as a backdrop was comedic and bearing in mind it was filmed about the same time as Friends was first released the quality was appalling. Substance wise, maybe they had similarities, however for watchability the US version gets 100 out of 10 for me while the UK version gets a minus score. Thanks for your comments Sue although I don’t agree with you about the British version at all. “Substance wise, maybe they had similarities” Er…in that the plot and characters for the US version were based on the British one? Yes! “bearing in mind it was filmed about the same time as Friends was first released the quality was appalling.” It has dated, but Friends (which started in 1994, Cards in 1990) is an odd thing to compare it to as it’s a completely different type of programme. Early episodes of Friends look quite dated now anyway. “the UK version which I tried to watch after left me feeling slightly embarrassed for being a Brit. It was very poorly acted, the music as a backdrop was comedic”. Nonsense. 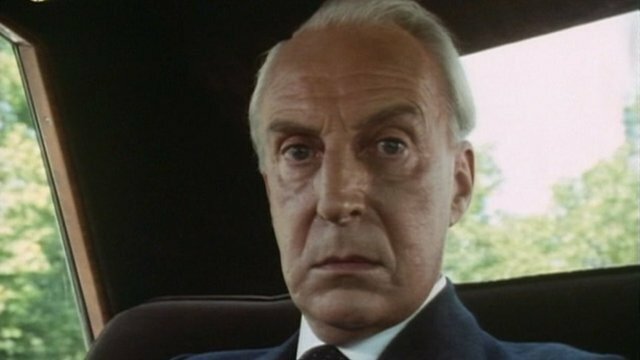 There’s nothing embarrassing about Ian Richardson’s performance. Or indeed any of the others. 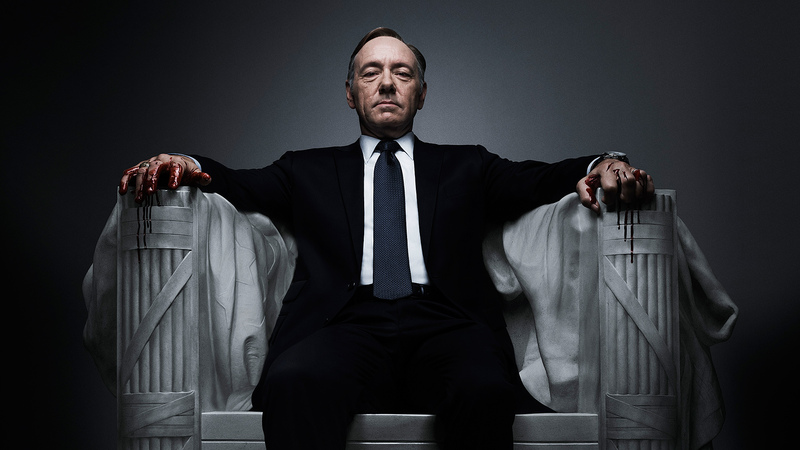 I prefer the main theme to that of the US show. I love the American version too but it wouldn’t even exist without the British one! There is nothing to be embarrassed about, other than it looking old (which is unavoidable). The acting and Andrew Davies’s script were superb throughout.